”] You are gone from morning to night with your jam-packed schedule. How in the world are you supposed to get your daily dose of greens without having to spend a fortune on purchasing food to go? 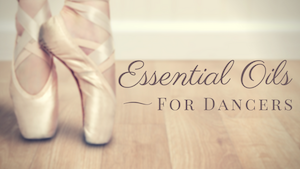 Broccoli Rabe (pronounced rahb) gives you half of your daily requirement of vitamin C. This powerful antioxidant is going to help your body fight off dangerous free radicals – a defense you are going to need when your ballet partner comes down with a cold! 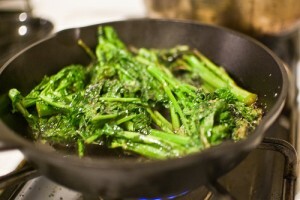 Wash broccoli rabe and cut stems into 1-2 inch pieces. Warm oil in pan and add garlic; sauté for a few minutes. Add broccoli rabe and sea salt, then sauté for about 3 minutes. Add water, cover and allow to steam for about 2 minutes. Check for desired tenderness. If needed add a bit more water and allow to steam for a few more minutes. Variations: Serve with freshly grated parmesan cheese. Yum! My Italian grandmother always cooked these greens and I always felt better after eating them. Thanks for the reminder!